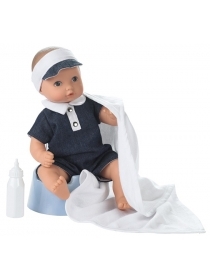 Götz Aquinis make children enjoy their play and their bath. They can drink and use the potty. Their anatomically correct bodies are made out of vinyl and are 100% waterproof. Their eyes are painted.